Unfortunately, many cruise ships are canceling their stops in Mazatlan and scheduling an extra day in Cabo. I’m sad for those who are missing out on Mazatlan – it’s a beautiful place with great culture – but more time in Cabo is never a bad thing. 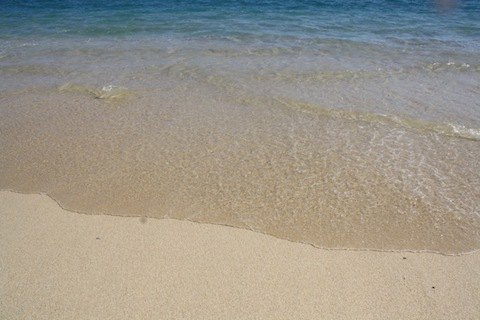 I’ve taken several cruises and there’s nothing like getting of the boat and putting your toes in the sand. If you’ve never been to Cabo before, head over to Medano Beach – the most popular beach in Cabo. You can catch a cab to Medano beach for about $8 from the marina. Or if you are the exploring type – it’s about a 30 minute walk from where the cruise ships drop you off. And you get to explore the marina in a process. On Medano Beach you will find beach style restaurants like the Office, Billygan’s Island, and the Mango Deck. If you are a paying customer, you can sit in one of their lounge chairs on the beach. If you want a towel, you can rent one for a couple of dollars. Medano Beach is one of the swimmable beaches in Los Cabos and you have the option to do everything from parasailing and jet skiing to massages on the beach. You can also rent a water taxi from the beach or the marina and head over to Lover’s Beach – located at Land’s End. It’s about $10 each way and you should arrange your pickup ahead of time. There aren’t any facilities here so if you are planning on spending the whole day, you might want to get some food ahead of time. If you are looking for a quieter atmosphere – head to Chileno or Santa Maria Beach. You won’t find as many people here, but there are few vendors and a cab will cost you about $40. Fishing: Rent a Deep Sea Fishing Charter. Cabo is the marlin capital of the world and there are many boat captains willing to take you out for a chance to catch that big one. Fishing charters are popular and with a little research you can find the perfect one for you. San Jose del Cabo, the sister town to Cabo San Lucas, is a more laid back. You can explore the art galleries, go to the Cathedral and spend time in the shops. Adventure: Go ziplining above the desert. Check out companies like Wild Canyon, Cabo Adventures and Canopy Costa Azul for zip line tours. Golf courses in Cabo are designed by greats such as Jack Nicklaus and Robert Trent Jones III. 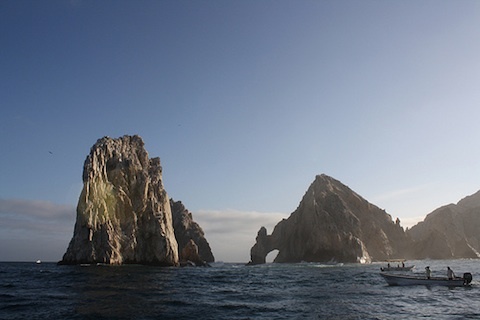 The Cabo area is great explored by boat. There are many boat companies through which you can charter a boat for a day or a few hours or you can take a cruise tour. 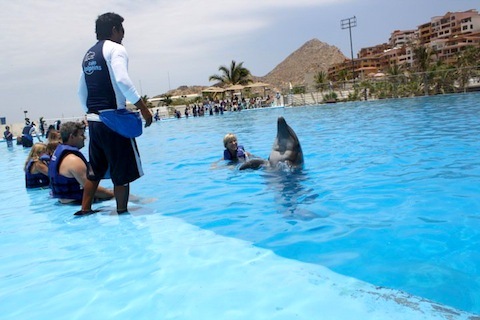 Cabo Dolphins has a wonderful facility in the Marina where you can get up close and personal with these beautiful creatures. Swimming with the dolphins can be a great activity for the whole family. The great thing about taking a vacation is that you get to try things you might not get a chance to do at home. You can learn the basics of scuba diving and get to dive in shallow water. You may want to come back and get certified! 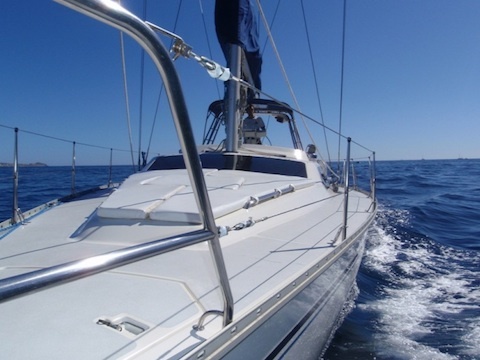 You can take lessons from a sailing company like Cabo Sailing or try Cabo Adventures America’s Cup Sailing where you get to race two America’s cup sailboats – no experience necessary. Many restaurants, hotels and private chefs offer cooking lessons. You can also arrange cooking lessons with private chefs in the area. What did you do on your two days in Cabo? Let us know – we want to hear from you!